As a Greek woman, I am kind of offended. 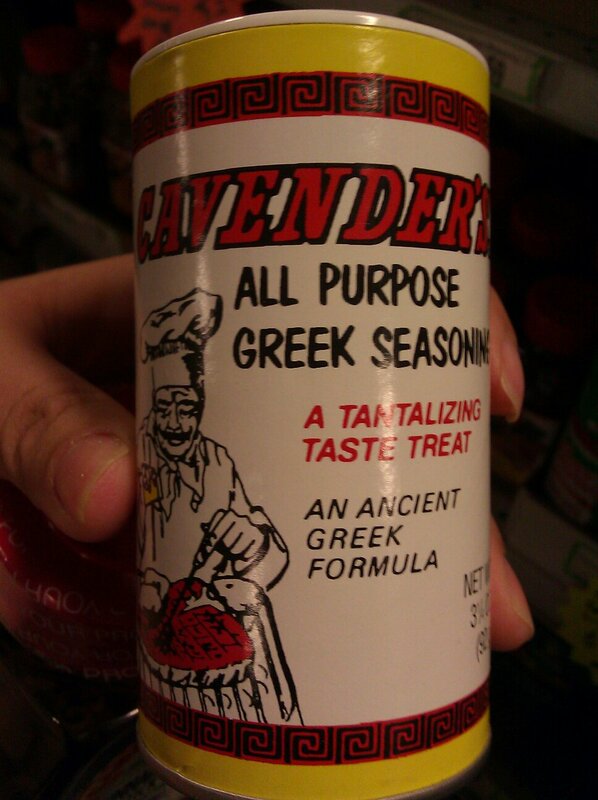 The label claims this to be an Ancient Greek formula, yet according to the company’s website it is produced in the Ozark Mountains of Arkansas. Because nothing says Greek like a landlocked state in the southern United States? The product is also described as “a unique blend of 13 ingredients that is good to use on anything you would normally salt and pepper.” So….why do I need it? I really don’t need to say anything else. I must be living under a rock, because I just discovered Aldi’s supermarkets about a month ago. I was running some errands in East Rutherford and stumbled upon it. I enjoy hitting up new food stores I have never been to. Some have the power to scare me, like Hackensack Market on Passaic Street here in Hackensack, while others, like the International Foods Warehouse at National Wholesale Liquidators in Lodi, is a pleasant surprise. I also love a good bargain that doesn’t require me to spend hours poring over circulars and/or clipping coupons. Aldi fell into the pleasant surprise category. When I walked in the first time, I was taken by how no-frills the layout is. There is little to no advertising and most items are just on palettes and sold straight out of cases. Then I looked at the items and felt like this was the place that 80’s sitcoms used to shop for generic anti product placement goods. The quality is surprisingly good, though. It is an excellent store for stocking up your pantry with pastas, rices, spices, cereals, crackers, etc. There are some fresh items, too, but they make me a bit more wary. If you decide to check these stores out, a few things to be wary of. To keep overhead low, they charge for shopping bags and there is a system in place to bag your groceries, so it’s best to bring your own bags. Bring cash if you do not have a debit card, as credit cards are not accepted. You’ll also need a quarter to secure a deposit and unlock a shopping cart. The German based company is also the parent company to Trader Joe’s, another favorite of mine. They have been operating stores in the United States since 1976. Who knew? Overall, I’m a fan, and look forward to going back. When someone hears the word “pesto,” they usually think of basil pesto. While basil pesto is perhaps the most popular variation of the sauce, the term pesto is actually a generic term referring to anything made by pounding (think pounding using a mortar and pestle, not pounding to make babies or something else stemming from wherever your dirty mind is going). Tonight I’m making pesto to serve as part of the filling for my chicken roulade. I use the following ingredients – fresh basil, garlic, olive oil, pine nuts, Parmesan cheese, salt, pepper, and if needed, some lemon juice. Since it’s January, basil isn’t exactly all over the place, but you can still find fresh. I lucked out this afternoon and found it for $1.99 a bunch at the International Foods Warehouse at National Wholesale Liquidators in Lodi. The slideshow below walks you through the steps to make the sauce. Tomorrow night I’m hosting some friends for a long overdue get together. My “cousin” (I use quotations as we are family both being Greek and having grown up together, but we’re not blood related) and his girlfriend live here in Hackensack just a few building away from my own but we NEVER see each other. There is another couple they are super tight with that I also have known for years and wanted to hang out with, so we organized a get together and I agreed to host. My cousin, God bless him, loves my cooking, and because he is always eager to see what I’m going to make next, I like to please and make some fancy shmancy stuff. As with any dinner party, it is highly recommended to do as much as you can ahead of time. This evening I prepped the chicken, made the sauce, and blanched the vegetables. 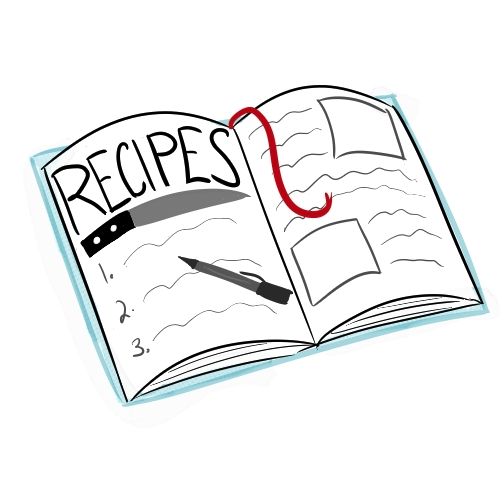 I’m going to spend the next few posts highlighting recipe by recipe. I am headed to my friend’s house this evening for dinner and I offered to bring dessert. As has been the case lately, I raided my pantry for what I can make from scratch without going to the store, and I was able to make chocolate cupcakes with cream cheese frosting.